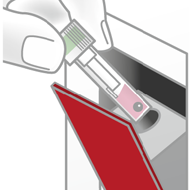 Step3: Insert Cartridge, press start – finsihed! Highest accuracy: As accurate as a laboratory test, directly traceable to large laboratory systems. Euroylser smart CRP is a simple test for quantitative determination of C-reactive protein (CRP) in whole blood, serum or plasma using the Eurolyser smart instrument. Measurement of CRP is helpful in the clinical management of a patient with symptoms of infection. C-reactive protein (CRP) is the best known among the acute-phase proteins, a group of proteins whose concentration increases in blood as a response to inflammatory disorders. It increases already after 6 hours in acute inflammatory processes associated with bacterial infections, post operative conditions or tissue damage. 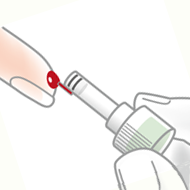 When the test is performed near the patient, the CRP result will be available during patient consultation and can effectively guide antibiotic use. 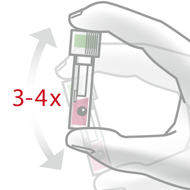 The Eurolyser system – consisting of a small instrument and a ready-to-use kit – is especially designed for use in primary health care settings being instantly ready for operation and giving immediate test results.